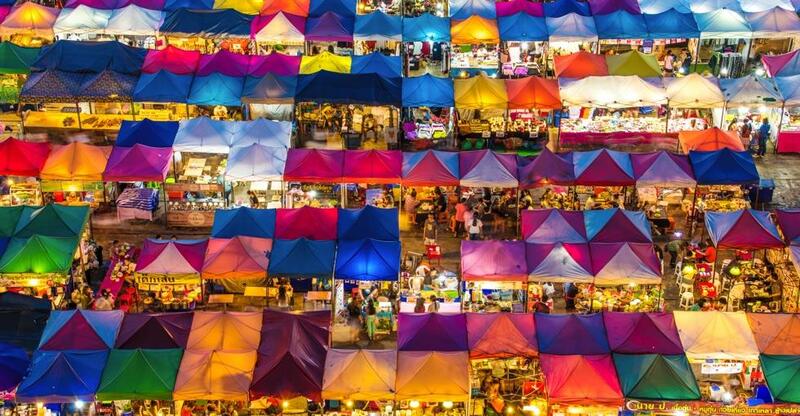 This guide explores the opportunities, legal constraints and cultural challenges facing foreign entrepreneurs in south-east Asia's second largest economy, as well as the peculiarities of the buying process. Only Indonesia has a larger economy than Thailand in south-east Asia. Driven by exports and a strong service sector, Thailand has been described by the UN Development Programme as "one of the great development success stories". Once an agricultural economy, the Buddhist-majority country industrialised rapidly during the 1980s and has evolved beyond labour-intensive industries like textiles into higher tech fields like computer equipment and automotive components. Other major industries include hospitality, food and beverages, jewellery and furniture. From bars, guest houses and restaurants to scuba-diving tour operators, businesses catering to tourists are a popular acquisition for expat entrepreneurs. European buyers find it easier to deal with backpackers and package holiday tourists as they often speak English. Political instability is a perennial concern, with the army still in power since the 2014 coup. Nevertheless, despite periodic military rule, Thailand has climbed to an impressive 26th out of 190 countries on the World Bank's Ease of Doing Business rankings 2018. It ranks a more middling 67 for business taxes. Find out more about corporate tax rules here and personal income tax here. The country has a decent road network and reasonably punctual trains, while 33 civilian airports provide a wide choice of internal and international flights. Average broadband speeds eclipse those of the UK. First-time visitors to the 'Land of Smiles' are often struck by the aptness of its nickname. And Thais are generally disinclined to express anger or irritation, however keenly they might feel these emotions. You are wise, therefore, to express dissatisfaction or disagreement diplomatically if you want to ingratiate yourself with prospective clients. A laidback attitude - exemplified by the widely-used expression mai-pen-rai ('never mind') - means that punctuality is not accorded the importance it is in, say, Japan. Allied to rampant corruption and labyrinthine bureaucracy, the mai-pen-rai mindset make patience and contingency planning both invaluable virtues. Many Thais speak at least rudimentary English, though few are fluent. A tonal language with no shared history with Latin-based European languages, Thai is as challenging for foreigners (Farang) to learn as English is for Thais. Thai workers enjoy 15 public holidays. April, when Chari Day (6 April) and Thai New Year (Songkram, 13-15 April) take place, is a good time to take some time off. The Foreign Business Act passed in 1999 sets the framework for how foreign entrepreneurs and investors can conduct business in Thailand. That 83.5% of the workforce is unskilled is problematic given that business owners must hire four Thais for every one foreigner and two million baht of registered capital (and five million paid in tax). You might end up with a bloated workforce to source the skills you need. Until 1997 foreign nationals were barred from buying property or assets in Thailand. If restrictions have since been steadily loosened, overseas investors are still subject to myriad conditions. Foreigners can control a company as minority shareholder (up to a 49% stake) and be appointed as managing director. A Thai-majority company is allowed to buy land, unlike an overseas-registered entity, which must also surmount additional financial and bureaucratic hurdles. The drawback of this model - less influence - is obvious. However, lawyers can bolster your position by finding 'sleeping' Thai partners or securing agreement that a super majority of shares is required to pass votes. Are you tempted to circumvent restrictions by having a Thai friend represent you on the board? Think again. This practice is illegal and punishable by substantial fines or imprisonment. You can - despite a persistent myth to the contrary - own 100% of a Thai business. Securing a foreign business licence is one option. Securing the endorsement of the Board of Investment, a government body that promotes projects that boost the Thai economy, is another. And under the Thai-US Treaty of Amity and Economic Relations, US citizens have dispensation to fully own a Thailand-based company. You need a non-immigrant 'B' visa to be eligible to conduct business activities in Thailand. Costing 2,000 baht for single-entry with three-month validity and 5,000 baht for multiple entries with one-year validity, this visa can be obtained from a Royal Thai Embassy or consulate in your home country. "Immigration and work authorisation procedures may be smoother" if you buy rather than start a business in Thailand, according to Thai law firm Siam Legal. Foreign entrepreneurs must hire at least four Thai employees and, usually, provide evidence of social security contributions and employee tax payments before they can extend business visas. Buy a business and these hurdles have probably already been surmounted by the previous owner. It may be easier, and preferable, to raise finance outside of Thailand and transfer funds into the country thereafter. Getting a Thai bank account isn't easy either and you won't get an ATM card with a company account. You, or an authorised colleague, must withdraw cash from the bank with a signed and stamped withdrawal slip. If hiring a suitably experienced lawyer is always advisable when buying a business, it's especially important when you're unfamiliar with the local language and regulations. A Thai lawyer can review local court records to determine whether business sellers have ever been declared bankrupt or been sued for defaulting on debt. During due diligence, they can help you uncover information around a company's accounts, registration details, current directors and shareholders and any liabilities and pending legal proceedings. A lawyer or business broker can help you negotiate terms and conditions and draft share transfer agreements, the sale agreement and other legal documents. Under Thai law, company directors, not shareholders, have direct control over the company, so the sale and purchase contract should clarify your position. It should also schedule an extraordinary shareholders meeting for the appointment of a new board of directors and set a deadline for their registration with the Department of Business Development (DBD). If you're buying the land on which the business sits then Siam Legal recommends that you buy the land and business assets together, rather than separately, due to stringent restrictions on the purchase of land by Thai businesses with foreign investors. Writing on his popular blog, The Thailand Life, one expat resident of the country since 2008 says: "Sure, business costs are lower, but with that comes red tape - in business, banking and legalities. And then there are the cultural boundaries of dealing with suppliers and employees. "That said, there are thousands of foreign companies thriving in Thailand. And they all have one thing in common: They do things above board. "They take time to learn the language, the culture, and pay that bit extra for the best legal advice." Interested in buying a business in the Land of Smiles? Browse our businesses for sale in Thailand. When Becky Birkin gave birth to her first child, she found she had time to pursue a new hobby. We talk to mother and daughter duo, Surinder and Safia, about how they brought their passion for homemade traditional Punjabi food to a wider public. Hannah James tells us why she loves running her Brighton pet shop.